This property is no longer available. I can show you a similar property. Buy the FARM !! 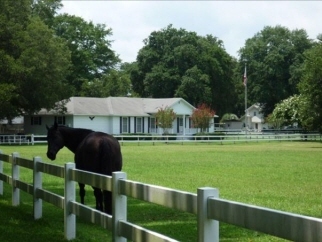 Enjoy pIcturesque setting of 9.22 acres with house and stable w/living quarters !! Home feataures 4BR/2.5 bath. In rear of property is 22 ft wide easement to the marshes of the Stono River. Stable features efficency apartment. Also, equipment shed for tractor and everything else. Original owners has kept the place immaculate....very neat and clean. Come home, and bring your horses ! !